For most enterprises, optimizing your Windows fileserver means buying a new, bigger server with more capacity and better network connections. Or it means buying a dedicated Network Attached Storage (NAS) system. Then they feel they need to add new ransomware and data protection software. All of these "solutions" are expensive, involve a costly data migration and don't really increase IT efficiency. 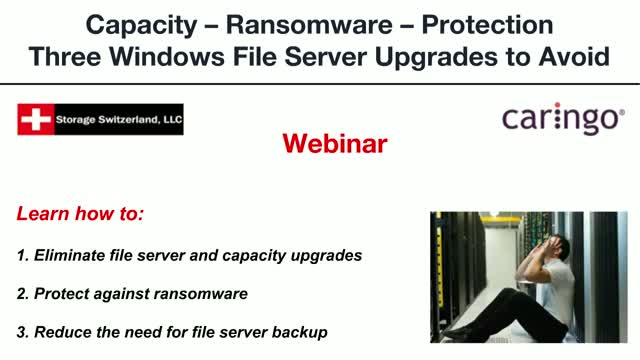 In this webinar, experts from Storage Switzerland and Caringo will teach you how data management can eliminate the need for additional Windows file servers, capacity and protection.